This was a series that many people will never forget. Today’s matchup was hyped up to be one of the most exciting series in the history of North American League of Legends. Team Liquid and TSM were ready to battle it out for a chance at glory in St. Louis, and they didn’t disappoint whatsoever. It shaped up to be, arguably, the most exciting best-of-five in recent memory—and Liquid won by reverse sweeping TSM. 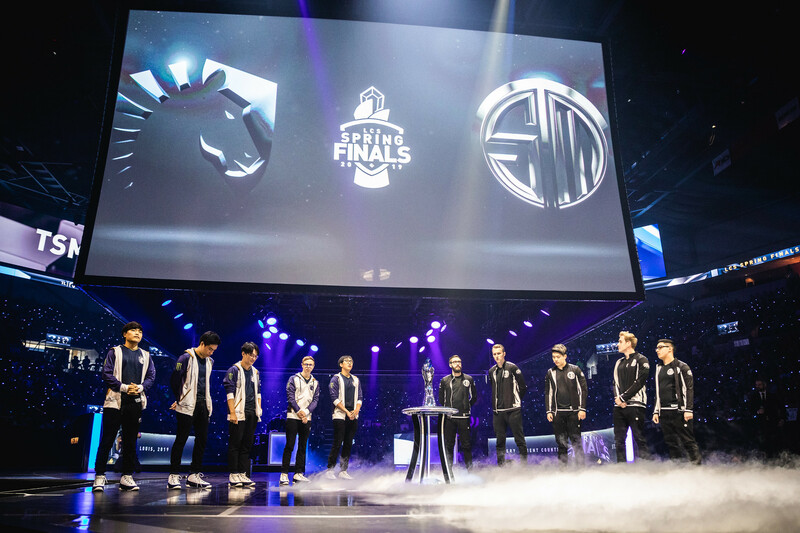 All five games were an all-out brawl between the two LCS powerhouses, with each team wrestling for supremacy across the map. In games one and two, great performances from some of TSM’s newcomers helped them secure a 2-0 lead in the series. Sergen “Broken Blade” Çelik and Matthew “Akaadian” Higginbotham put on some masterful performances early as they both were catalysts for TSM’s victories. Their teamfighting was almost perfect and the team’s choices were decisive and strong. As a result, Liquid’s back was against the ropes early as people expected an incredible sweep by TSM. The book for Liquid hadn’t closed yet, though. Through some great team play and macro, Liquid stunned TSM over and over through games three, four, and five. With some immaculate jungle pathing from Jake “Xmithie” Puchero and amazing teleport plays across the map, Liquid clawed their way to a game-five decider. In game five, it was all TSM in the early game as they controlled the map with some key teamfights that helped secure a 5,000 gold lead with four dragons by 30 minutes. Unfortunately for TSM fans, the 30-minute mark also signaled the beginning of the end as well. Jesper “Zven” Svenningsen got caught out late in the game, which prompted another Liquid comeback as they took Baron to close the gold lead. With some brilliant teamfights, Liquid slowly worked TSM down until they were knocking at their opponents’ door. With a final heave-ho, Liquid completed the improbable reverse sweep, shocking the League of Legends world and finally bringing a championship to Nicolaj Jensen’s trophy case. This is a heartbreaking loss for TSM, who were right on the cusp of bringing back honor to the SoloMid name. But this should only provide the team with an even stronger fire for next season as they shoot for the stars once again. Meanwhile, Team Liquid have now captured their third championship in a row, and Yiliang “Doublelift” Peng’s sixth LCS title of his career. Although there’s still a debate on who’s the greatest LCS player of all-time, this victory should give Doublelift an argument. Liquid must now look toward the upcoming 2019 Mid-Season Invitational, where they’ll take on some of the best teams the world has to offer.